To stay hydrated (check out last year's tip! ), I like to make my water a little more interesting. I add slices of lemon, mint and lots of ice cubes. It doesn't only look fresh, it also tasted good! You can also add pieces of watermelon, lime, berries, peaches or basil. I can't believe almost a month has passed since I was in Venice. Every time I go there, I love it a little more. Every street, canal, building is picture-perfect which even made it hard to chose one picture for this post. I ♥ Venice! As usual in summer, it was really hot in Venice. My solution? 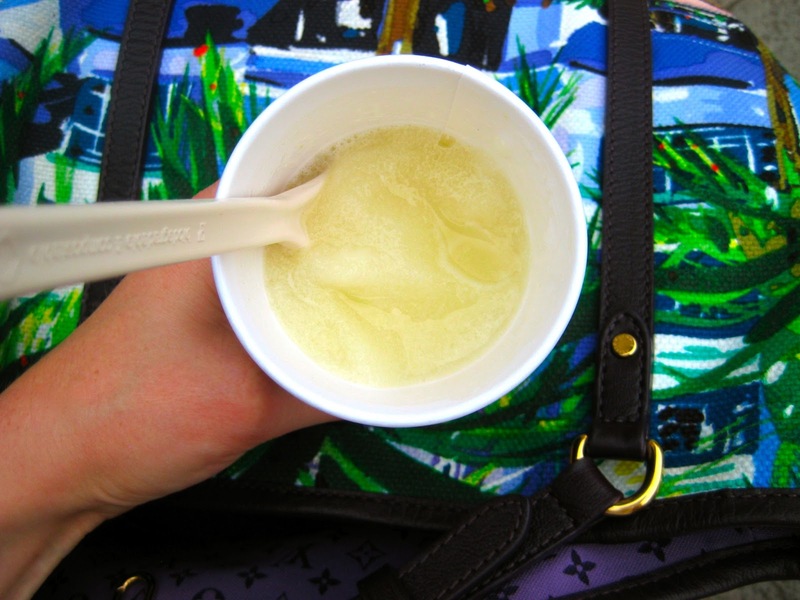 An ice cold lemon granita, yummy! 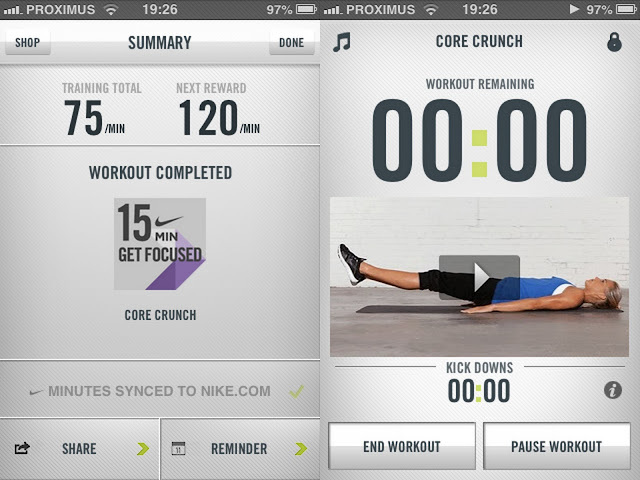 Lately I've been doing some of the 'Get Focused' 15 min exercise routines on the Nike Training Club iPhone app. Some are more intense than others, like the core crunch. Damn, after the first time my abs were sore for two days! But now it gets easier every time. I think this app is perfect for quick intense work-outs. When my dear friend Isabel - her blog - told me she made almond butter from scratch it sounded too easy not to try out. Just pop some raw or roasted whole almonds in the food processor and process for about 15 minutes - recipe here. I made almond butter and almond-hazelnut butter and I liked the second one best. I then went on to make these guilt-free oatmeal-date-chocolate bars. The perfect breakfast or snack substitute. 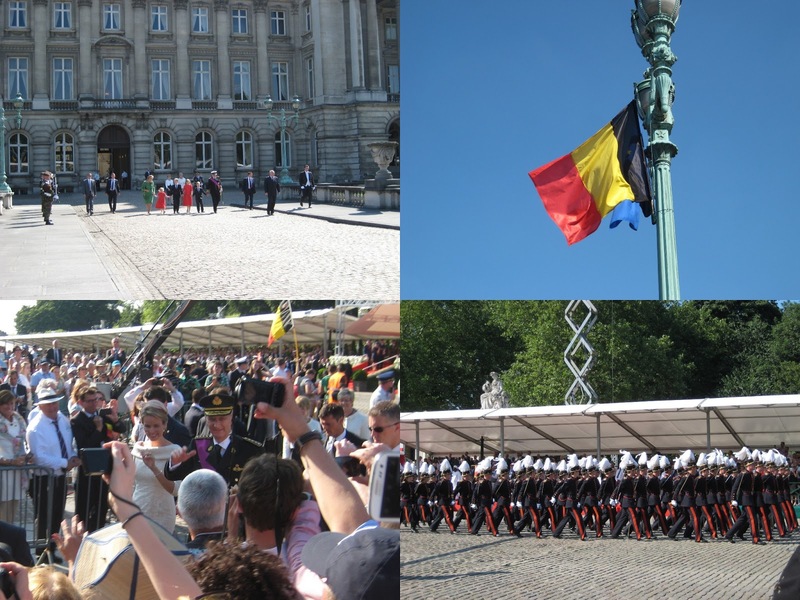 On Sunday, my siblings and I headed over to Brussels to celebrate our new King Philippe. It was one of the hottest days of the year but we got to see the whole Royal Family from up close and the impressive military defilé. A special day for us Belgians!